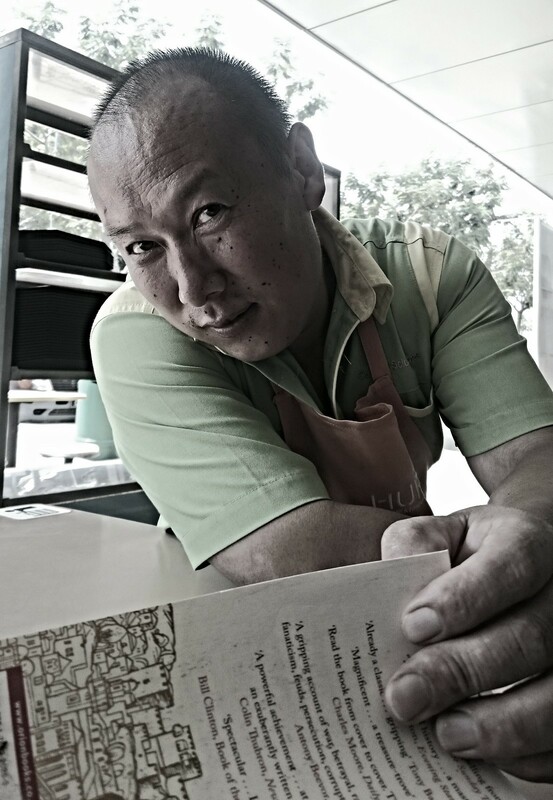 This gentleman is a cleaner at Pasir Panjang Food Centre. I live very nearby so I go there often and know most of the stall-owners and the cleaning staff. I have a habit of greeting the cleaners and bringing my finished dishes to them instead of them having to come to me. So over time, I’ve developed a relationship with them. During our earlier interactions, he was quite shy but he’s now comfortable with me. Today, I needed a kopi-o gau. So I went there for my caffeine fix. I took the book I’m reading with me. It wasn’t a busy period so he came by and sat opposite me. Although, I had intended to read, since he sat down, I proceeded to make “conversation” with him. After “It’s hot” (in English) and “nǐ chīfàn le ma?” (have you eaten? ), the conversation predictably stalled. He picked up the book I had put down on the table. The scene was so endearing. He looked like he was engrossed in the book and studying it deeply. Of course, he didn’t understand a word (it was not even a picture book). I didn’t have the heart to tell him he was holding it upside down. As usual, I asked him if I could buy him a drink. He always says “no.” But this time, I asked the kopi uncle to bring him a liang teh on my account. He accepted gratefully but a little pai seh. I said it’s ok. We sat together for a while. He motioned to me if I’ve eaten. I said yes. Soon, a family eating on a nearby table left. He smiled at me, said “xie, xie” (thank you) and went to do his job. I sat alone reading and drinking my coffee. After I was done, I walked up to him (he was seated on another table with another colleague – a cleaning lady), thumped him in the shoulder and said bye. Both of them beamed in return. I felt great. For all the ranting about foreigners who live here, there are many many more absolutely stellar individuals. It’s just that these usually don’t make it to social media. I went back there again for a late lunch. It was about 3pm. That is about the time the cleaning staff get to eat their own meals as the lunch crowd has cleared and the evening rush has not yet begun. This gentleman was sitting on his own eating. I brought my plate of nasi padang and sat down with him. 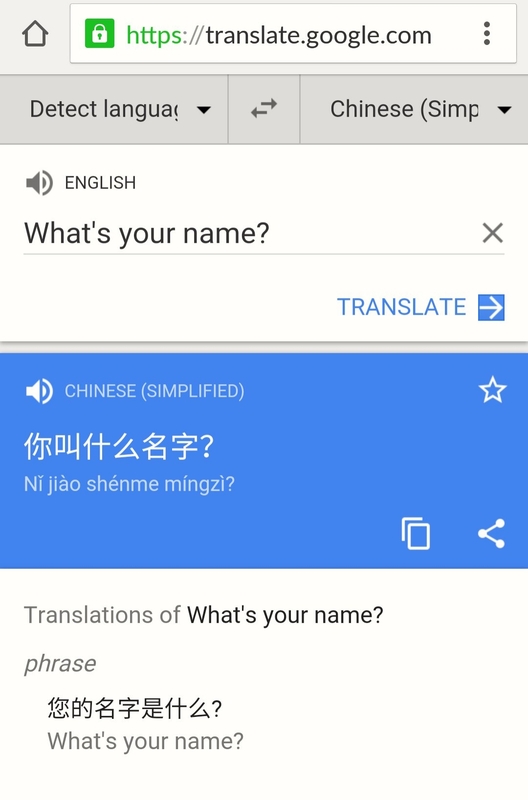 This time, we made some “conversation.” I whipped out my OnePlus One and fired up Google translate. First thing I wanted to know was his name. So I “asked”. 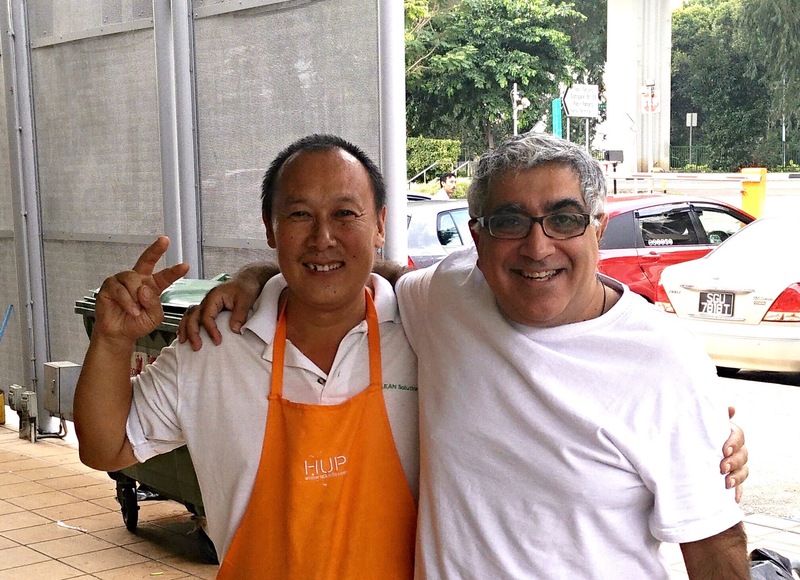 In this manner, we were able to get to know each other a little bit – when he came to Singapore, where I was from, my profession, his family, etc. He offered me a swig of water and I bought him and some of his colleagues a beverage from the drinks stall. Then, he obliged to taking a picture with me. Unlikely friendships. Gotta love Singapore.